Small or large—or somewhere in between—all Mazdas tested by the Insurance Institute for Highway Safety earn the organization’s highest safety scores. Mazda is the only automaker to accomplish this feat for the 2017 model year. As a company, the development process behind every new Mazda vehicle takes into consideration what it should look like, how it should drive and the vehicle’s basic structure. It really goes without saying that Mazda follows a different road than most of its competitors. 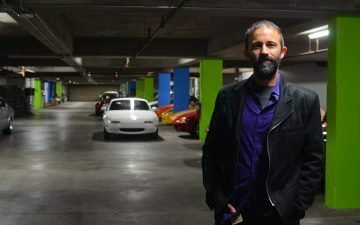 Whether customers choose a Mazda3 Sport for $18,000 or a CX-9 Signature for $45,000, the company’s development teams in Hiroshima, Japan; Europe; and Irvine, California, make sure every vehicle embodies KODO – Soul of Motion design and is steeped in Jinba Ittai (literally “horse and rider as one”) philosophy and driving dynamics. The ultimate goal is to make the driver feel in control and as safe as they can be when behind the wheel. In testing by the Insurance Institute for Highway Safety (IIHS), every 2017 Mazda tested is a Top Safety Pick Plus (TSP+), when equipped with the available Smart City Brake Support and Adaptive Front-lighting System. The most recent Mazda introduced, the 2017 CX-5, joins its siblings with its recipe of user-friendliness and a Top Safety Pick+ (TSP+) designation of its own. For young families, adventurers, weekend warriors and empty-nesters alike, it’s safe to say that accolades like this are just one of many reasons why the CX-5 is Mazda’s best-selling vehicle. Mazda was able to achieve this safety milestone because they are committed to creating safer cars and more confident drivers. According to Masashi Otsuka, VP of research and development, MNAO, “To Mazda, safety is about empowering the driver as much as helping to protect him or her.” In other words, Mazda’s safety philosophy, which guides the research and development of safety technologies, is based on understanding, respecting and trusting the driver. For Mazda to receive top scores in the latest, strictest additions to IIHS’s safety criteria, vehicles tested need good ratings in five crashworthiness tests – narrow front overlap, moderate front overlap, side, roof strength, and head restraints and seats. Mazda engineers did the heavy lifting, but it’s each Mazda’s high-strength SKYACTIV-BODY design that provides the ultimate protection. The rigidity of the body also allows engineers to calibrate the CX-5’s suspension to be comfortable and compliant when driving ordinarily but agile and responsive in spirited or emergency driving. 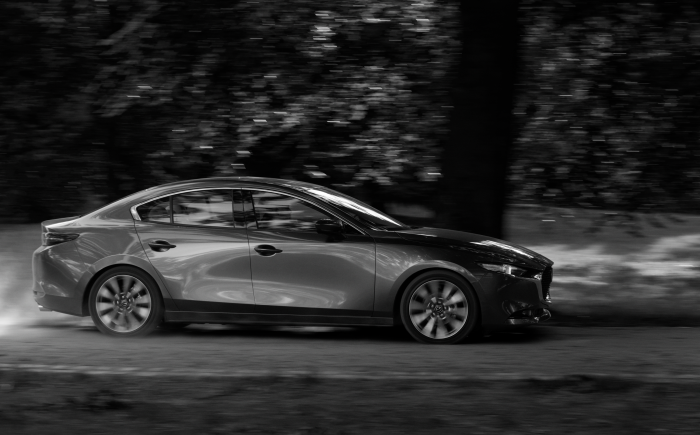 Like every Mazda, there’s zero compromise in getting both a comfortable and engaging driving experience. The only thing better than being protected in a crash is avoiding a crash all together. This is where all Mazda vehicles, when properly equipped, earned advanced or superior ratings for front crash prevention by the IIHS. Instrumental to earning these high ratings, Smart City Brake Support was developed to intervene and help stop an accident before it even happens. More technologies from the available i-ACTIVSENSE suite, such as Mazda Radar Cruise Control with close proximity warning, Lane Keep Assist and Traffic Sign Recognition, all help drivers avoid collisions by supporting their natural ability to predict and avoid hazardous situations. While many automakers have similar technologies, few are programmed to compliment the driver—empowering the driver to make quick decisions—rather than creating a disconnected and unnerving driving experience. Mazda wants you to drive the vehicle and not have it drive for you, but with these added technologies, it’s just enough to enhance the driving experience while significantly increasing safety. To earn Top Safety Pick+, IIHS requires an Acceptable or Good headlight rating. Here is where all of Mazda’s vehicles shine, literally. Mazda’s Adaptive Front-lighting System (AFS) optimizes distribution of light from the headlights according to driving circumstances. Depending on vehicle speed and steering input, the system points the low-beams headlights in the direction the driver intends to travel. The CX-5’s standard LED headlights, coupled with AFS, illuminate a greater distance and more brightly compared to halogen headlights that come standard on just about every other competitor. The LED headlights with AFS improve the driver’s field of vision and visibility around curves and at intersections during night driving. Mated with the auto-leveling function, the system offers a stable distribution of light unaffected by the vehicle’s position. Maintaining the illumination axis, the system helps to prevent drivers of oncoming vehicles from getting blinded when back of the vehicle is weighted down, or when the vehicle position changes going over a bump or driving up a slope.